Bruce covers the song by sign request from the audience during the "working on a dream" tour. 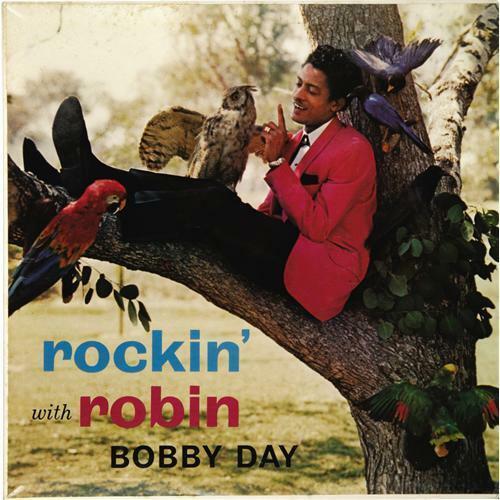 "Rockin' Robin" (originally released as "Rock-In Robin" ) is a song written by Leon René under the pseudonym of Jimmie Thomas and recorded by Bobby Day in 1958. It was Day's biggest hit single. Michael Jackson recorded his own version of "Rockin' Robin" in 1972, which was released as a single from his gold-certified solo album titled Got to Be There. It was the biggest hit from the album, hitting No. 1 . "That’s a great one, that’s a great one , where’s the pie plate?... Yeah, yeah, yeah, I appreciate it, appreciate it, appreciate it … oh, it’s a great one... gotta see if we can figure this one out…or we can move on…you don’t have any place to go, do you? (crowd: “No”) alright…any luck?...…everybody knows this one, this is a pie plate special, Baby pie plate special – we only know half of it, that’s how much we’re gonna play… (Max starts drumming) key of A…"